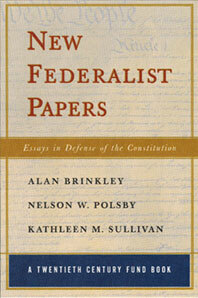 New Federalist Papers - Description | W. W. Norton & Company Ltd. In the aftermath of the Constitutional Convention of 1787, three of its most gifted participants--Alexander Hamilton, James Madison, and John Jay--wrote a series of eighty-five essays, published in newspapers throughout the nation, defending the proposed new government against its opponents. Those essays, known today as the Federalist Papers, explain the philosophical basis of the Constitution and defend the idea of republican government against charges that it would lead to tyranny. Today's political controversies call into question some of the principles that have shaped government through most of this century. 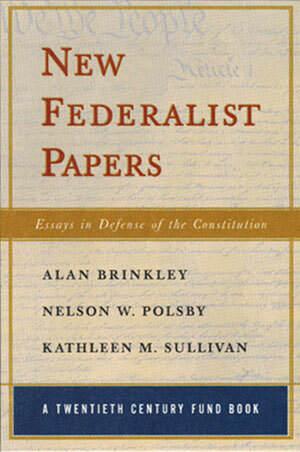 New Federalist Papers, written by three constitutional experts, defends the representative democracy put in place by the framers of the Constitution. Like Hamilton, Madison, and Jay, the authors of New Federalist Papers see danger in the effort to diminish and relocate federal power. They recognize that it is the task of public discourse to bring about reasoned consideration of such issues as gun control, term limits, flag burning, the balanced budget amendment, and campaign finance reform.